Can you believe it's this time of year again already? It feels like only a few weeks ago I was writing about suggested reading goals for 2017 and saying exactly the same thing about how fast 2016 went. Time truly is a flat circle. The thing about reading goals is that they should be fun. Now matter how challenging or not-so-challenging your goal, the idea should never be to make reading a chore. Remember this year, whatever your goals, that the most important one should always be to enjoy your reading. By all means, read more diversely, try to read more books than you've ever read in one year before, try your absolute hardest to read every unread book you own, but remember that as much fun as it is to challenge yourself, reading a book you really love is usually even more fun. So, my reading challenge for you this year is to read books you know you're going to love. 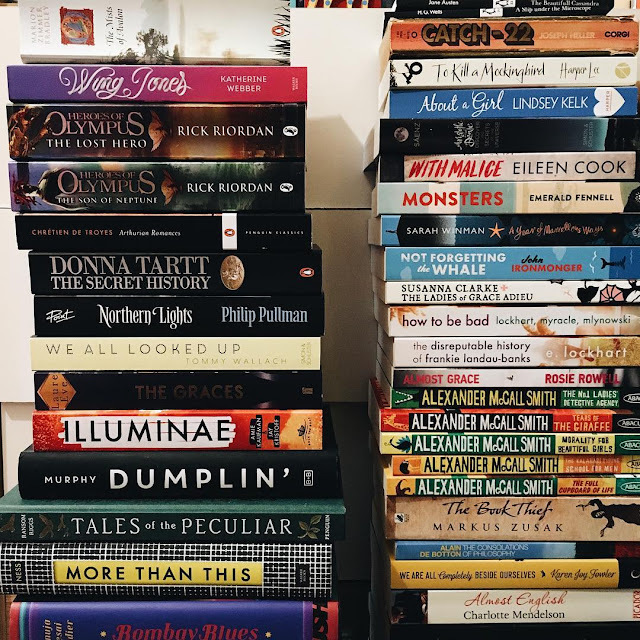 Read books whose descriptions mention all your favourite things, read books by your favourite authors, re-read books you've read a hundred times before. Enjoy your reading year as much as you possibly can. And throw in one or two other challenges too, because that's probably the best way to find those books that totally surprise you with how much you love them.